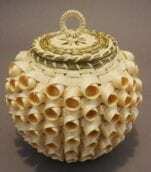 Jeremy Frey is known for innovative designs. 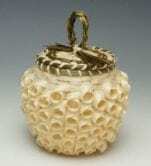 This basket has a traditional Passamaquoddy look, with important differences, some obvious and some subtle. 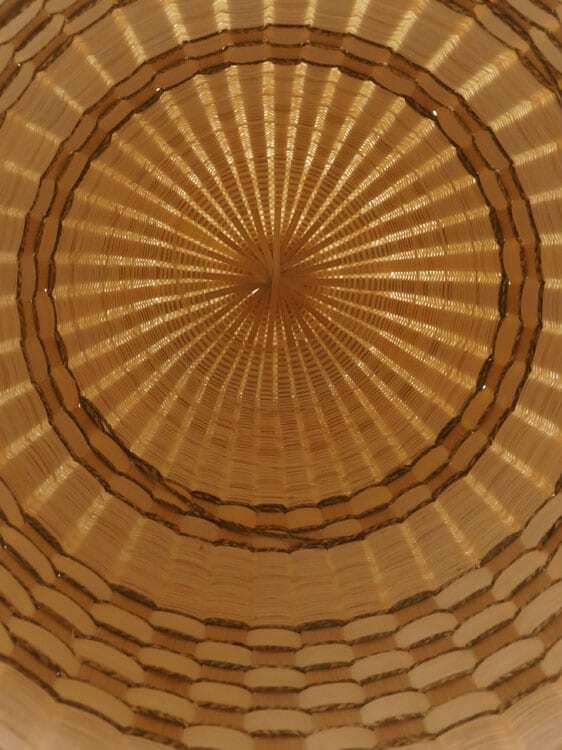 For example, the gauge of the ash splints is significantly smaller than was used in older baskets. He also added a turned and carved cherry burl disc with beautiful grain to the cover. 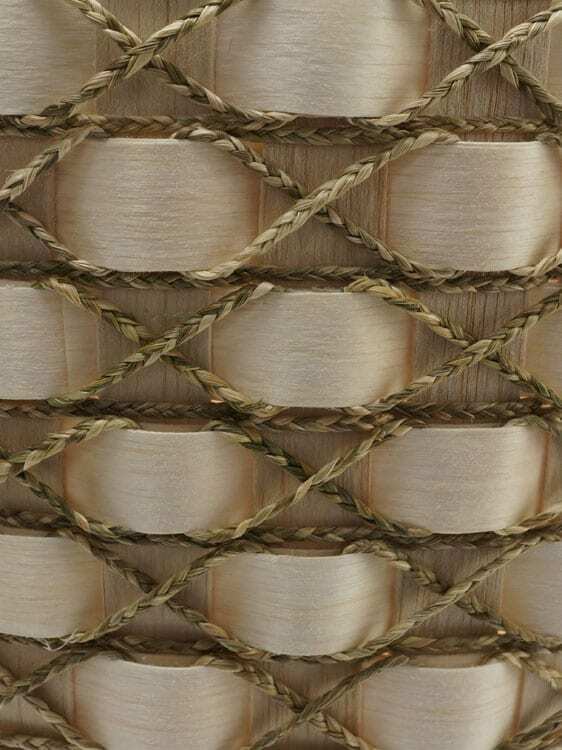 Notice also, some of the woven braids are cedar, rather than ash. The color difference may not be visible online, but is evident in person. 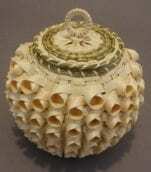 Last, the height of this basket sets it apart from most traditional pieces. 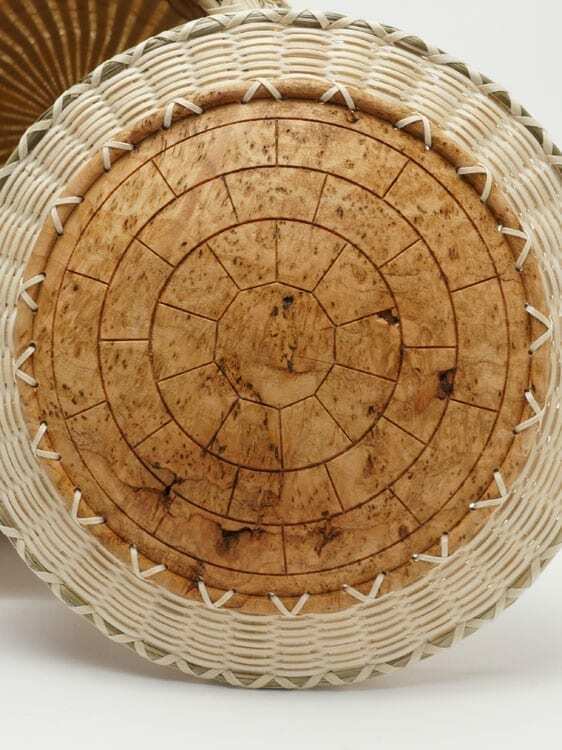 In keeping with traditional baskets, Frey used no dyes; all colors on this basket are natural. Jeremy Frey is known for innovative designs. 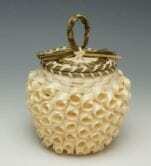 This basket has a traditional Passamaquoddy look, with important differences, some obvious and some subtle. 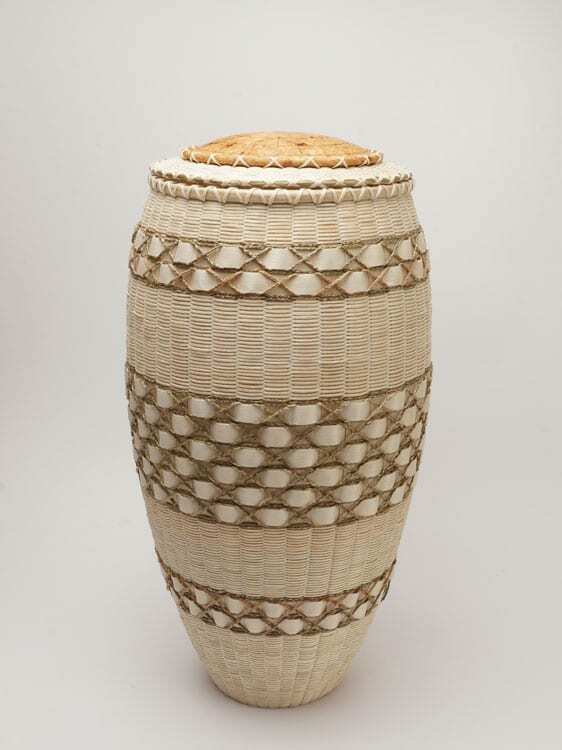 For example, the gauge of the ash splints is significantly smaller than was used in older baskets. He also added a turned and carved cherry burl disc with beautiful grain to the cover. 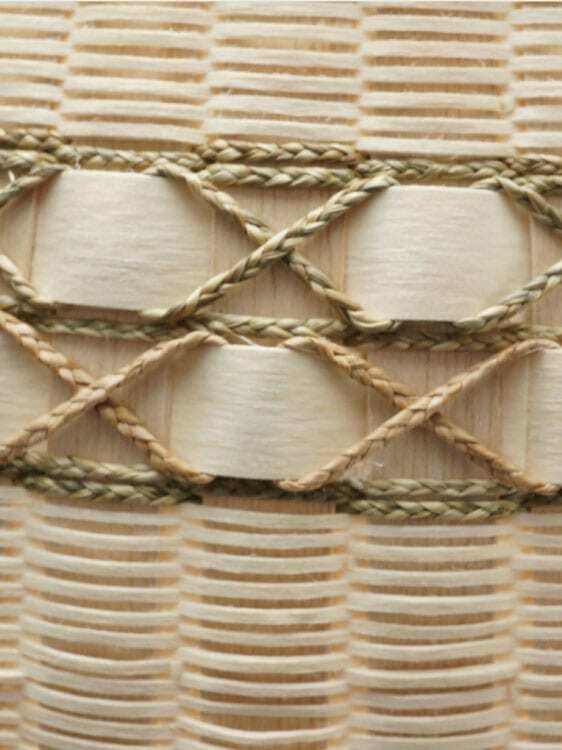 Notice also, some of the woven braids are cedar, rather than ash. The color difference may not be visible online, but is evident in person. 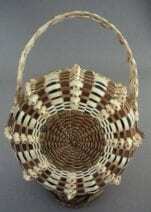 Last, the height of this basket sets it apart from most traditional pieces.